As a fundraiser and non-profit worker, there will be times when you need to discuss sensitive information with your team. During these times, it can be a challenge to find a meeting place discreet enough, and even if you can find one, all of your team members have to physically be there. Instead, why not try an online meeting? FreeConference.com gives you a few neat little tools to add extra layers of security to your online meetings so that your information stays secure. So for your next important fundraising meeting, you should try some of these. Normally, your meeting room’s access code stays the same so that your weekly or monthly participants don’t have too many numbers to remember. But if your next meeting will be an important one that you don’t want any of your old participants to access, you can easily change your access code from the Settings page. Don’t worry, this new number will still appear on any new meeting invitations you send out to prevent confusion. If security is a bigger concern at your non profit, you can also choose to change your access code on a monthly or even weekly basis, offering your team even more security. I suggest using a system of farm animal noises to quickly remind your team what your access code is each week –just kidding– FreeConference.com’s automatic reminders will always include the most up-to-date meeting information. No oinking required. 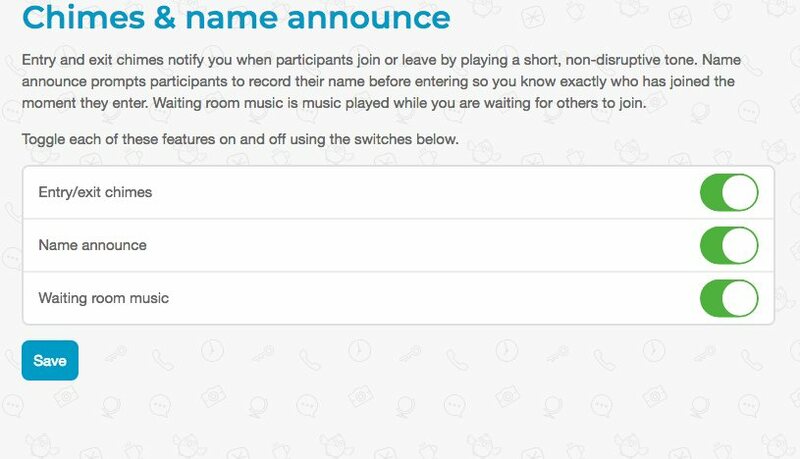 Another quick change you can make before your next important online meeting is to go into Settings and turn on Name Announce and Exit/Entry Chimes. 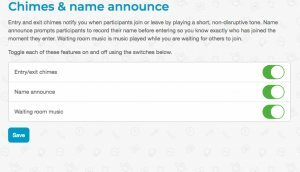 By enabling both of these features, not only will you and everyone else in the online meeting hear an audible chime whenever someone exits or enters your online meeting, all joiners will also be prompted to speak their names into their microphone to be played as soon as they enter. What this means is that when someone joins your online meeting, not only will you hear a chime, but you will also hear their name. 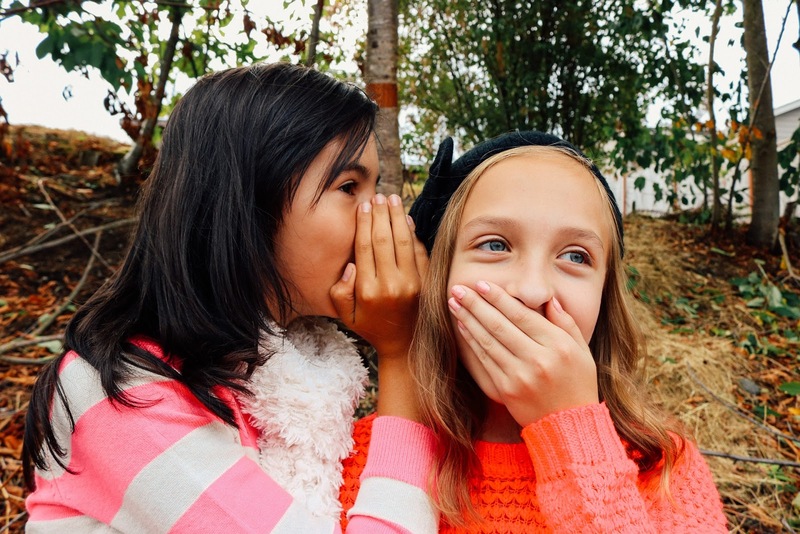 This means that no one can sneak into your online meetings unannounced, and will also make it much easier to plan surprise parties for even the most eavesdropping of team members. The final way to make your online meetings more secure is to record your online meetings, which can be done with any of FreeConference.com’s paid plans. Your recordings will be safely stored on your FreeConference.com account, or they can be downloaded onto your computer. Basically, they will always be there if you need to access them. Usually, meeting hosts will make their recordings available to all participants, but in the case of sensitive online meetings, you can decide to keep them to yourself and not share them with everyone. Instead, just let them know that all of your recordings are available on request for security reasons. Now that you know a little more about FreeConference.com’s security features, the best thing to do now is log into your account to give them a try before your next important online meeting. Security with FreeConference.com is simple enough for everyone to use, but robust enough to keep out intruders. If security is one of your main concerns, it’s also worth noting that FreeConference.com will never sell your user data to any third party. If you have any security concerns, our stellar customer support team would be happy to answer them through email or over the phone.